A donation to the Oakland County Bar Foundation’s Honor & Memorial program is a wonderful way to remember or honor someone special. Additionally, a special acknowledgment letter will be sent to the individual, family or friends in whose name a contribution has been made. Your donation recognizes the memory and lifetime achievements of loved ones and becomes a permanent part of the Foundation. For more information about Honor/Memorial donations, please email Katie Tillinger or call (248) 334-3400. 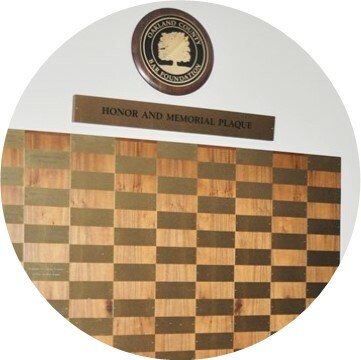 * A donation of $250 or more will be acknowledged on the "Honor & Memorial" plaque installed at the OCBA office.